This paper presents an analysis and interpretation exercise of the urbanization process of the city of Córdoba, Argentina, between 1927 and 1984, using some tools provided by semiotics. The investigation of the subject began with the graphic systematization of the analogical photographies taken on the city in aerial flights of the years 1927, ca. 1961 and 1984.Through these photos, we could observe the city in three different moments of its history and recognize that in the course of it was creating, maintaining and modifying buildings, streets, avenues -and preserving constructions and circuits that have existed since ancient times- in a landscape organized during renewed economic, social, political and cultural dynamics. The research that seeks to understand the contemporary morphological evolution of this city and the way it was involved with the life of its inhabitants, started from a different entrance to the traditional ones in the urban history studies, since it took as starting point the basic information provided by these aerial photos. Then, in the work presented here, an exercise made in interpreting the visual information using with some freedom a model of semiotic analysis proposed by Greimas. Some of the decisions taken for the interpretation of the aerial photographs of the city - such as the value and the character assigned to them - are justified by the method and techniques with which they have been captured, that is, by their production conditions, which are explained a little below. The development of the analysis tending to find significant structures that guide the historical investigation, made on some selected fragments of the urban territory that observed in the surface of the photographs, constitutes the main body of this essay. It ends with some provisional conclusions, which are open to new interpretations and other developments. Even being a partial work and a search exercise, it allowed defining lines of approach, adopting semiotic categories and developing relatively valid techniques, used in other cases of the field of study of the history of cities from aerial surveys. Like any semiotic interpretation, the one that realized here is limited, while the possible semiosis is infinite. To that infinity another one is added, since the city in its complex dynamics assumes fractal forms, when each point of its surface when observed in detail opens up to infinite different singular realities. However, to believe that this analysis is insufficient only by incomplete, partial or limited would be an intellectual pedantry, since the limitations it has are epistemic, theoretical, methodological and technical; and, with total security, suffers from many other shortcomings that I cannot even imagine. HAIQUEL, Miguel A.. Una interpretación de la historia de la Cuidad de Córdoba entre 1927 y 1985 a través de fotos aéreas. 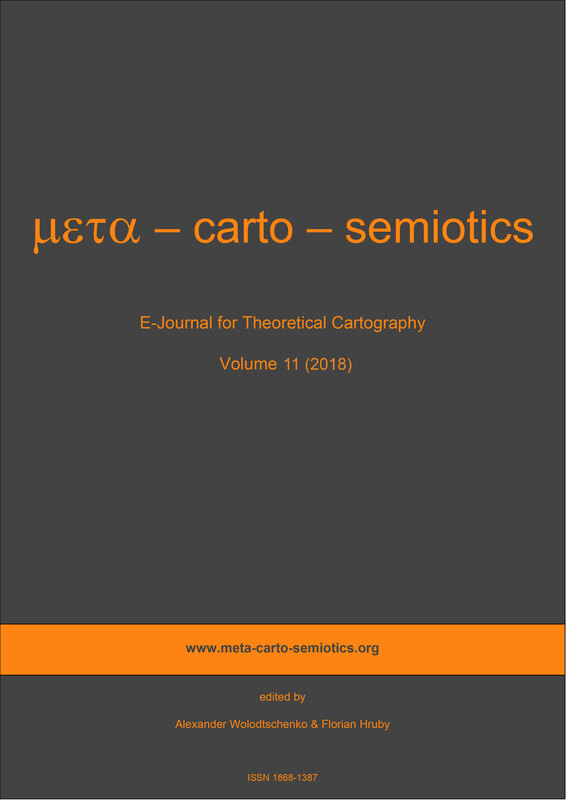 meta-carto-semiotics, [S.l. ], v. 11, n. 1, p. 47-73, dec. 2018. ISSN 1868-1387. Available at: <http://ojs.meta-carto-semiotics.org/index.php/mcs/article/view/95>. Date accessed: 20 apr. 2019.